Last year, union membership in Oregon dropped by 7.6 percent, registering the sixth largest drop in the country. 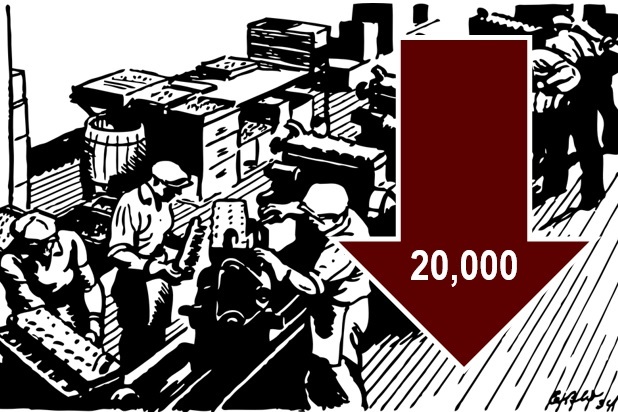 According to new data from the U.S. Bureau of Labor Statistics, from 2017 to 2018, Oregon unions lost 20,000 members. This is the eighth largest drop in the country and is especially remarkable given the state’s relatively small size. The Supreme Court’s Janus decision in the middle of last year likely contributed to the steep decline. The court ruled that public sector unions cannot force nonmembers to pay dues to the union unless the employee affirmatively agrees to pay dues. This has caused many public employees to question the value of sharing a part of their paycheck to a union who many not be serving their best interests and may, in fact, be working against their best interests. This is especially true for younger workers in Oregon’s public sector. Younger and newer employees in state and local government are in the lowest tier in PERS, known as OPSRP or Tier 3. They know that costs of paying for the retirement benefits of Tier 1 and Tier 2 employees are dragging down their own take-home pay. They also know that they will never match the same generous benefits their older colleagues are getting or will get when they retire. Indeed, many younger teachers in the Portland region have found that compensation is better and fairer in the State of Washington and are seeking employment in our northern neighbor. Union membership is likely to see further declines into the future unless they can demonstrate benefits to younger and newer workers. Reaching and retaining younger workers already is a complex and vexing problem across all workplace sectors public and private.